On Monday 23rd October, the first day of the October half term, hundreds of keen educators made their way to Feltham for Reach’s annual conference. The standard is always high, but I felt this year was a particular cracker. There were two ‘no excuses’ sessions in the first slot: one from Peter Jones, the head of Paddington Academy, on how employing no excuses discipline turned behaviour around in his school, and the other from Delhagen on how he turned his back on no excuses towards a more restorative approach. My overwhelming take away from this was Lehain’s respectful challenge to some of Delhagen’s remarks. Delhagen was a Teach for America whiz kid who was made a Head early on, but grew disenchanted with ‘no excuses’ after seeing the number of children ‘lost’ by that system. Delhagen is a man with a clear mission and morality: he repeatedly asked us ‘where do those children go?’ and reminded us that ‘those children are someone’s problem.’ I don’t think any proponents of ‘no excuses’ discipline I know would disagree. He described as ‘utilitarian’ the challenge that if you do not exclude one child for bringing in a weapon to school, other children will receive the message that this is acceptable, and shared the story of one child at his school, who, after bringing in a weapon, was subject to restorative justice. The child, her parents, parents from the community and other children sat in a circle, and the child could hear the impact her actions had on others. Following this, the child remained in school and succeeded in attending a top university. A lovely story, of course. And of course schools should not be blindly excluding children. But I don’t think they are. Exclusion is always a difficult call, and the schools that I know do everything they can to ensure all children are included in their communities. But there have to be red lines, and I suspect even Delhagen has them. The child in the story brought in a weapon for her own safety; had she used it on a pupil or member of staff, I suspect the ending would have been very different. Exclusion does not exclude the possibility of the child understanding the impact their actions have had, and tough sanctions do not prevent conversations and explanations of why their behaviour is unacceptable. I am ever in awe of Headteachers, and this panel was simply 45 minutes of inspiration. Chris spoke of his experience at Burlington Danes in West London, detailing how seeing first hand the extraordinary transformation executed by Dame Sally Coates had made him believe that ‘change is possible.’ He also spoke of working in two schools prior to headship as helping him to be able to work out what his values were: at Burlington Danes, they did not just focus on results, but also serving the community and creating a great culture for children to learn in. He spoke of challenging entrenched low expectations at his school, Totteridge Academy, a theme he picked up in more depth in his later session. I had never heard Clare Sealy speak, but her honesty and no-nonsense approach immediately endeared her to me. She outlined being ‘thrown into headship’ with humility, playing down her personal strengths and insisting people liked her ‘because the head before had been mad.’ She was honest about her evolution, saying she had been a phonics sceptic before visiting another school and seeing the impact, and subsequently changing her mind, and suggested that the best headteachers are open-minded to change. Lydia agreed with Clare, and said the best CPD she had organised was to take a bus-load of her MAT’s headteachers to an excellent school so everyone could see first hand what was possible. She spoke about school improvement ‘beginning and ending with the head’, who needs a strong vision shared by the whole team – including the children. I always love hearing Rebecca speak – she is the epitome of honesty and humility. This summer, the education world watched in awe as Reach’s first class received extraordinary results, with all but one child achieving a 4 or above in English and Maths. They prioritise academic subjects: 95% of children were entered for the EBacc. Yet Cramer’s speech was focused almost entirely on the mistakes they had made, and what Reach had learned from those mistakes – there is no room for complacency here. Rebecca noted that the new exams had been an advantage, as teachers avoided complacency: they knew it would be tougher, and so did the children. Reach’s small cohort lends itself to mixed ability teaching, and the team are focused on how to stretch top achievers as a result, laying on ‘master classes’ (‘dine for a nine’) and working on injecting more challenge into their Key Stage 3 curriculum (‘teaching excellence beats teaching to the test’). I loved the idea of a parent and child assembly after the mock exams, after which children are handed their results in an envelope and they ‘feel really sad.’ What Reach do with parents is unparalleled in the state sector, and I look forward to hearing more about how they have engaged them so effectively. I was lucky enough to visit Chris at Totteridge Academy in Barnet before half term. It was the day after open evening, and most staff had been at the school late. Yet that morning there was a feeling of elation in the school. As Chris took me around, teachers would stop him to gush: ‘that was the best open evening ever. I can’t believe how different the school is.’ This is after only one year in post. In 2016, 50 parents attended their open evening. This year, it was 450. News is spreading, and a huge amount is down to Chris’s leadership. The school’s progress 8 score improved from -0.45 to +0.32 this year, and the old measure of 5 A*-C including English and Maths was up by 27%. Chris said the turn-around was down to three main aspects: the power of high expectations, building a reputation, and hard work. He spoke of a staff turnover of 43% and 13 fixed term exclusions in the first week as really setting the tone for higher expectations for both staff and students, all set in the context of a school that had significantly underperformed for decades in the community. The quotation: ‘worry about your character, not your reputation. Character is who your are, and your reputation is who people think you are’ spoke to the core of what Chris does: he draws on deep integrity to make people follow him into battle. This sense of moral purpose is combined with savvy know-how, as he shared some top tips for maximising results with his first year 11 cohort, as he knew they would be a big driver of the school’s success. Chris mentioned two pieces advice from his aforementioned mentor, Dame Sally Coates, which are well worth repeating: ‘surround yourself with amazing people’ (he has done) and, when tough choices need to be made, ‘always go back to what is best for the children.’ I can’t wait to see what happens at Totteridge next. I always love hearing Jon speak – he is full of self-deprecating humour and intelligence in almost equal measure. For every unit at Reach primary, teachers must think: ‘what do I want every single child to know by the end of the unit?’ I can think of no better place to start. Jon says this normally consists of a timeline, key tier 3 vocabulary and key concepts. A guiding principle is also ‘what would I expect intelligent adults to know?’ He uses this to create knowledge organisers that the children quiz on. Jon drew on Kirschner’s work on long term memory, along with Hirsch’s assertion that background knowledge is the key to reading comprehension, to make a forthright argument about a knowledge-rich primary curriculum that is, frankly, inspirational. Noting that it was impossible to expect primary teachers to be experts in every subject, he recommended the Civitas books as a good place to start, along with the advice that primary teachers be honest about their subject knowledge, and read books to improve it. Touching briefly on pedagogy, he noted: ‘we don’t do the carousel thing’ (where children teach each other in small groups having been given resources) – ‘if they don’t need a teacher to learn, what are they learning?’ All children end the unit by writing an end of unit essay, and the year 2 work Jon shared was really extraordinary. I can’t wait to see what the children taught his curriculum can do by the end of key stage 2. I charged my phone during the last two sessions, so my notes are far more limited. Overall, the message from this panel seemed to be: depressingly little. The consensus was that countries were more different than the same, and that politicians needed to be wary of bringing over whole-sale practices from other countries. Lucy Crehan spoke of timetabling to allow teachers to specialise in particular year groups and to reduce workload, which I partially agree with – though I think, in the absence of a KS3 curriculum, if you don’t know where they need to be by A-levels or GCSEs this may be sub-optimal for pupils. She noted that part of a practice’s success or failure was also down to implementation, meaning we ought not to dismiss an idea which works well in another country just because we have failed to do it very well ourselves. As the leaders of these new schools stressed the challenges they had faced along with the successes they had enjoyed, I was amazed by the variation between schools even within one city. Rebecca spoke about undervaluing ‘operations’ early on, and recognising now how vital it is that, for example, the school photocopier works smoothly. Listening to Max speak was a particular highlight. KSA opened in 2009, and it really was on its own then, doing something completely different. Max travelled to the US for inspiration, stealing the best of what he saw in Uncommon Schools and KIPP. He has stuck with his school for eight years, and despite consistently excellent results was keen to stress the mistakes he felt he had made. (‘Don’t start a school day at 7:55 and end it at 5pm. Some people will burn out.’) His reflections on staff wellbeing and retention, and his honesty in sharing with the room where he had got it wrong, was really extraordinary. Rebecca started on the original KSA team, but decided for Reach to ‘go it alone’ without a Multi-Academy Trust to back them, and shared the benefits and the challenges this had brought, while Jenny Thompson talked about recruitment issues in Bradford and having to grow staff. Coupled with these incredible talks were plenty of opportunities to catch up with education folk and meet new people. I’m not sure this short post can do the day justice – I will be thinking about what I learned at Reach for a long time to come. One of the things I hear a lot from my colleagues at Michaela is that working at the school has made them better people. Why is it that so many of us feel we have improved as humans through our collective endeavour to teach children? We explicitly teach stoicism to the kids from day one of Bootcamp in Year 7. We teach them that adversity is there to test them, and the true test of character is how they choose to respond. They will, like everyone, experience difficulties in their lives: stoicism gives them tools to rise to those challenges. By continually reminding pupils to ‘stay stoical’ – when they get a detention, when they cut their finger, when they have a cold, when they’re finding a topic or idea difficult, when they have six hours of exams a day in exam week – we are also internalising that message ourselves. It is really quite extraordinary how high staff attendance is at Michaela. Stoicism is a life-changing philosophy. I’ve recently started reading The Daily Stoic, which is like a Bible for perseverance and perspective. When difficult things used to happen in my life, I would go to pieces. I would cry, or feel anger, or feel that it just wasn’t fair. But now, I remember what we teach our kids: Nelson Mandela spent 27 years wrongfully imprisoned; Victor Frankl endured the miseries of a concentration camp. Nothing that can happen in my life will come close to the suffering they endured, but through our own endurance we can set examples for others. In August, for example, I slipped a disc in my neck. I was in absolute agony for months, and felt very sorry for myself continually. But when I was tempted to indulge in considering how ‘unfair’ my lot was, I had only to look at the shining example of my step-mother, whose M.S. may make her daily life incredibly difficult, but will not take the smile and positivity from her. She is a force of nature, and a wonderful human to be around. She is an example for me to live up to: if I feel pain, it is nothing compared to what she feels every day; if she can endure it, I can follow her example. Before I worked at Michaela, I loved being told I was great, and hated being told how to improve. I was, in short, pretty arrogant. 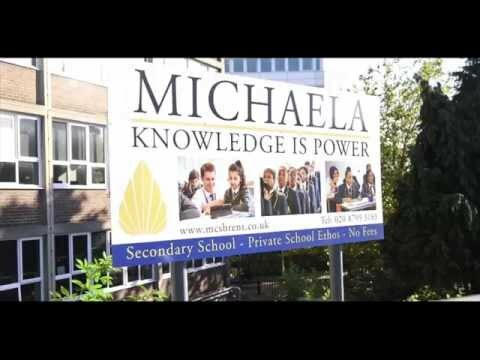 But through our culture of candour, and through a culture of continual improvement and continual feedback, through working at Michaela you become more humble. We are all always improving, and come to actually look forward to our candid conversations as we know they will genuinely help us improve. It is great to work somewhere free of blame. In about my first month of working at Michaela, Katharine asked me to present something at a staff meeting. I came up with a handout I know would have worked well at any of my previous schools and talked people through it. It didn’t seem to go as well as I had anticipated, and I wasn’t sure why. The next day, Katharine asked me to see her. ‘It didn’t work,’ she said. ‘You’re telling people “why,” but they know why – they need to know “how.”’ Does that sound harsh? It wasn’t harsh in the delivery – it was delivered without blame, without recrimination, in the spirit of sharing information: this didn’t work, so next time do this. Being humble means you learn more: you don’t write off the first year teacher’s advice because you are more experienced, you don’t discount the ideas of others in the school because of any misguided notion of ‘rank.’ You listen to everyone, and you learn more than you could have ever expected. I do wonder if all schools could be like Michaela in terms of the ethos and atmosphere for staff. Certainly, our workload is very intense – days are packed from 7:30am to 4pm – but we also have evenings and weekends and holidays free to see friends, to see family; to read, to write, to think. I’ve never had so many colleagues go to the theatre mid-week, or go away for the entirety of a half term or long holiday without the slightest qualms. And every day is zen: silent corridors, quiet classrooms, children behaving beautifully is all conducive to feeling happy to take on difficult advice, and finding it easier to deal with emotional or physical problems. In times of crisis, Michaela is a really lovely place to be. In my previous jobs, I absolutely loved what I was doing, but I was often exhausted: I would cancel plans at the last minute because I could not bear to leave the sofa at the weekend, I wouldn’t see close friends for months on end, I wouldn’t book long holidays because I knew I would find the workload unmanageable when I returned. Now, I still love what I’m doing, but it’s not all of my life – it’s part of my life. But that part of my life impacts on everything else, and I find my friendships deepen, and my relationships with my family soften, because I see them more often, and I am more present with them. The teaching of facts has long had a rather negative reputation, from Gradgrind in Dickens’ 1854 Hard Times (‘Now, what I want is, Facts. Teach these boys and girls nothing but Facts’) to the prevalent metaphor today: ‘spoon-feeding.’ The image is of foisting undesirable ideas into young, unformed minds is useless at best, harmful at worst. I reassure visitors that we don’t, in fact, teach our children ‘nothing but Facts’ a la Gradgrind (our children do a lot of whole-class discussion and independent writing). But it is true – we explicitly teach facts in a way, and for a proportion of teaching time, that few other schools do. That is because we look at learning through a totally different prism. Facts are the bedrock of understanding. Knowing twenty facts might feel pointless and useless. But when you know one thousand facts, you start to see the reality that facts drive understanding. And when you know more than one million facts, as I estimate is the case for every university educated person (and therefore, every teacher), expert-induced blindness can make us discount their importance. Part of the reason teachers have tended to dislike facts is because schools are driven by a skills-led assessment system. Look at any exam rubric and all you will see are skills. Yes, there is ‘indicative content,’ but notice that you’re not expected to ensure that content is included to reach the top grades. This has led to a surge in drilling to the test and content-free lessons where we practise the supposed ‘skills’ that will lead to exam success. Let me illustrate the arguments above with a specific example. If I only know two facts about Shakespeare – his birth date and death date, perhaps – I might be tempted to discount the importance of facts. What can I do with those two facts? But if I also know when the bubonic plague was at its peak, when Elizabeth died and James I succeeded her, when more and more plays were published, when the gunpowder plot was, when Elizabeth was threatened with assassination and why, all these additional facts start to build understanding. I can start to make connections between facts and text, and start to have a deeper understanding of the multidimensionality of Shakespeare’s work. Similarly, if you ask a kid to comment cold on a piece of text they have never seen before, these facts are, in reality, invaluable. If a child only knows what a simile and a metaphor are, they won’t be able to have as rich a response as a child who knows techniques like tricolon, anaphora, anthropomorphism, epiplexis, hypaphora as well. A child who knows historical chronology, and what was happening in the world at the time the text was written, will have a still stronger and deeper understanding. If they know aspects of the form – rhyme, meter, stagecraft, structural techniques in novels – they will be better placed to comment on the piece of writing in question. If they have a broad vocabulary, composed both of wide reading and, yes, learning challenging words by rote over time, they will stand a much better chance of accessing the nuances of that unseen text. And if they know grammar themselves, they can formulate all these ideas into sentences which communicate clearly their ideas about this unseen text. A child who has detailed and extensive knowledge can combine all this knowledge together and respond to a text in a far better way than a child who has been drilled in the skills of inference and analysis. A broad general knowledge is vital for pupils to succeed: skills-led strategies are not enough. As Hirsch argues, ‘there are strict limits to the progress students can make if the text is on a topic that is unfamiliar.’ I remember asking a lower ability class to make inferences about symbolism. Asking them what red might symbolise, one responded: ‘jam?’ That child did not have the bedrock of facts that become cultural literacy, and at that time I did not know what to do to give them these facts. Why do poor kids tend to drop out of university in greater numbers? This is a complex question, and one I’d like to return to in future. But it definitely isn’t because their schools have taught them too many facts. In the USA, where these studies are far more prevalent, KIPP kids, and kids from other charter networks like Uncommon, are going to university in droves compared with their impoverished counterparts from other schools. And yes, lots of them are dropping out. But it would be foolish to blame an overly structured curriculum for this. If anything, learning facts prevents against university drop-out. When I went to university, even though I had attended a good school, I was intimidated by how much the people from those ‘really good’ private schools knew. I remember clearly having no idea what a ‘dichotomy’ was, and the fact that everyone else seemed to know made me hesitant to ask. That was just one small fact. I like to imagine our kids at university, with all these facts, all this beautiful web of understanding glistening in the October frost. These pieces of knowledge are beautiful, precious gifts. These facts are gold dust. Like it or not, our society is fraught with class divisions. I was hooked from the first to J.D. 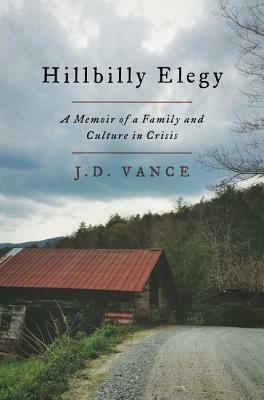 Vance’s Hillbilly Elegy. Like Vance, I would now consider myself middle class – university educated, well-paid and a person with a gym membership I actually use. But it was not ever thus. Like Vance, my parents experienced extraordinarily different lives to my own: my Mum is one of seven, and with two unemployed parents the family of nine squashed themselves into the village council house I later grew up in (by which point it was immense for the three of us – Mum, Nan and me). She was the only one of the seven siblings to get into a grammar school (despite initially failing the eleven plus), and despite her promise, left school at sixteen to join the army, as did my Dad (who also failed the eleven plus), one of six. My children will have a very different childhood to my parents’, or even mine. ‘You’re reading about your people!’ mocked my other half (who is what we both jokingly refer to as ‘middling’). And in some ways I was, and in some ways I wasn’t. Our society is fraught with class divisions, and despite my roots, an assisted place to a private school largely took me out of my ‘natural’ world at an early age, just as my Mum’s grammar school had taken her from hers. Hillbilly Elegy is Vance’s story of how he beat the odds of poor ‘white trash’ kids in the US and ‘got out.’ Fringe success stories are one thing, but how do we replicate that success for all children? I think there are some places this book helps us to understand, and other places where solutions are suggested. He remembers a $13 an hour factory job he had in Ohio, one he explains is excellent pay for the area and for the requisite skills. He was shocked his boss found it hard to recruit, but could understand why. Vance refers to one employee with a pregnant girlfriend, who had ‘every reason’ to hold onto that job, who was chronically late, a poor worker, and would take 45 minute bathroom breaks. When he was inevitably fired, the worker railed against the boss for not understanding that he had to support a girlfriend and child, taking no responsibility for what had happened. The experience of the hard-working hillbilly seems to come into constant conflict with the others of the ‘same’ social class: working in a grocery store, Vance discovers how the welfare system is gamed: they’d buy two dozen-packs of soda with food stamps and then sell them at a discount for cash. They’d ring up their orders separately, buying food with food stamps, and beer, wine, and cigarettes with cash… I could never understand why our lives felt like a struggle while those living off government largesse enjoyed trinkets that I could only dream about.’ So why wasn’t Vance one of ‘them’? Throughout the book, Vance is struggling to explore where responsibility lies. He describes the decay of the town; the boarded up shops and houses where druggies lurk; jobs declining but federal programmes helping people to buy their homes trapping them with immense debt in areas where there are no jobs. He describes his mother’s spiralling drug addiction, noting how he scoffed when she came back from a Narcotics Anonymous meeting calling her addiction ‘a disease,’ finding this ‘patently absurd.’ Yet he also acknowledges that there is some research that supports such a view of abuse – the difficulty is that patients who believe their addiction is a disease find it far harder to get clean. So often in this book, the statistics don’t answer the questions Vance is asking: ‘why didn’t our neighbour leave that abusive man? Why did she spend her money on drugs? Why couldn’t she see that her behaviour was destroying her daughter?’ The closest he can come is to tell stories which reveal the values of the people he grew up with. There are countless stories centred on loyalty, for example: the need to use violence to defend the honour of family members is cited on several occasions, and in one story his grandparents trash a store after an assistant is rude to young J.D. Vance. He writes of violence and shouting matches as the norm in relationships, and compares the unpredictability of his parents’ responses to ‘living among land mines’. So the crucial question: how did Vance succeed against the odds? Speaking to a teacher at his old high school, Vance says the teacher told him: ‘they want us to be shepherds to these kids. But no one wants to talk about the fact that many of them are raised by wolves.’ Interestingly, Vance never blames his ‘sub-par’ high school for his initial lack of academic success, instead expressing frequent gratitude for qualified teachers and a fully funded school building. Mamaw has the right priorities – while Vance talks about the Hillbilly tendency to spend huge sums of money on Christmas, financed with credit cards or pay-day loans, Mamaw does not buy him ‘cell phones or nice clothes’ but when a teacher says he needs a $180 ‘graphing calculator’, she buys it for him, and uses the guilt over this expensive purchase to shame him into working harder at Maths. The most revealing section of the book for me was this one, perhaps because both of my parents joined the army at age 15 and 17. For them, it was the key to a future: to travel, learn and be responsible members of society. I truly believe the army is strongly to be thanked for my own childhood: Mum may have held down two or three jobs at a time, and she may have raised me alone, but dinner was always on the table at 6pm, she was never even thirty seconds late for any of her jobs, and the house was always spotless. Routine is important for all of us, but especially for children. One specific query with the content of this book was on education: I couldn’t quite square the fact that Vance says that school was a ‘haven’ for him, but his attendance was poor – something so many of us struggle with in schools. If home is hell, why don’t these kids want to be in school? The only thing I can think of is that in homes of such extremes, the kids in them are desperate for kindness. Perhaps pretending to be sick elicits kindness from the inconstant adults in their lives, and they stay home to enjoy these infrequent kindnesses when they come. I’ve also seen parents who desperately want their children to stay home with them as a comfort to themselves rather than for the benefit of the child. I approached Vance through Twitter, and he kindly responded, noting that his attendance was at its worst when he and his sister were living alone, without any adult supervision at all. This makes sense, and I’ve known this happen to many children in previous schools. He also emphasised that he did not approach school in a ‘rational’ way: ‘I hated school and hated home worse.’ The difficulty of pupil attendance defies logical explanation: Vance told me: ‘mostly, when things are so stressful, you don’t want to do anything.’ All of this is fairly bleak for schools. ‘Hillbilly Elegy’ leaves us with even more uneasy questions. Social mobility isn’t all positive; it’s also moving ‘away from something.’ My Mum certainly experienced that when she was at grammar school, and I felt something similar when I was the only cousin at a private school. Another question is: how can we make success against the odds the norm? How can we replicate Mamaw or the Marines for kids who don’t have these? Schools can be predictable, reliable, calm and safe places for children to be in. Teachers need to be emotionally constant, so children can always predict how they will respond. Self-discipline is the key to success. If schools are set up to do one thing well, it is to enforce discipline and instil self-discipline. A strong system of behaviour management, accepting no excuses or exceptions, can massively help children to see that their lives are self-directed, and they have responsibility for their actions. Success is motivating; schools need to push kids who are furthest behind harder. Currently, we often treat these kids more softly. We need them to work harder and do more. If we can set up enough areas along the way for them to see their success, they can start to believe they can achieve no matter what their background is. I was overjoyed to be asked to present at Research Ed’s national conference last Saturday. We have massively overcomplicated teaching. In my talk, I explored how we have overcomplicated it, why, why we need to go simple and how that would work, using examples from Michaela Community School. How many activities do you need in a lesson? How often do the activities change in a lesson? How many different ‘starters’ do you create? How many different ‘plenaries’ do you have? How many variations on tasks do you have? How many slides do you have on a powerpoint? How many resources do you print for each lesson? How many ways are you expected to differentiate for children? How many pages does your scheme of work fill? How often have you changed schemes of work? How often have you taught the same curriculum two or more years in a row? How many intervention sessions have you run after school? Weekends? How much feedback do you give children? How much data do you gather? Input? Use? How many CPD sessions have explored new ways of teaching children? How many targets do you have to meet for your performance appraisal? How many trips do you take? How many forms do you have to fill out to take a trip? How many forms do you have to fill out to log a behaviour report? How many external agencies are working with your young people? How often do children miss your lessons for interventions? How do you get children to turn up to detentions, and what happens when they don’t? How many action plans have you written? I spent four years teaching thirty slide powerpoint lessons. Life in a dark room, filled by clicks and mumbles, was uninspiring for both the children and me. The failures of the past, not purely powerpoint-related it must be conceded, have led to what I called ‘intervention hell’ in the present, something that will be kicking in soon for many teachers, if it hasn’t already. We are drowning in data we don’t use. External agencies are taking children out of the one thing that will change their life: lessons where they are learning. Schools are no longer seen as places of learning – in the expectation that we will educate the whole child, prevent radicalisation, encourage healthy eating, and teach financial literacy (among other initiatives), we are missing the crucial thing: kids learning stuff, passing exams, having successful lives. In 2015, only 53% of kids in the country achieved the old benchmark of 5 A*-C including English and Maths. 47% of kids didn’t even get five Cs including English and Maths. Schools are categorically failing to teach all kids effectively. Our role has been massively overcomplicated. But the over-complication is not only the state’s fault. We too must accept responsibility. In the ‘missionary teacher’ or ‘martyr teacher’ paradigm, too many of us have decided to ‘sacrifice our lives on the altar of pupil progress’, to borrow a phrase from Joe Kirby’s Michaela debate speech. Working fourteen hour days, working weekends, working holidays (as it seemed nearly the whole room was doing or had done at some point) is categorically not sustainable. Who can do that for thirty, forty years? Our martyrdom has spawned an arms race, where ambitious teachers strive to outcompete each other. Add to this soup flawed accountability measures, spurious research (learning styles, anyone?) and the ‘teacher as entertainer’ model pedalled by teacher training organisations and SLTs up and down the country, and you have a recipe for disastrous burnout, as evidenced by the 50,000 or so teachers leaving the classroom every year. Why is simplicity better? Three reasons spring to mind: sustainability, consistency, retention. Sustainability for teachers: simpler teaching means we can have lives and carry on doing the job we love for the long-term. A career is a marathon, not a sprint. Consistency for children: teachers who stay massively impact on the children. Having the same teachers year in, year out, is undervalued at the moment. (In a later conversation, I mused about school improvement. I think a lot of mediocre schools who achieve great results do so by being strong on two fronts: behaviour, and teachers staying. Behaviour is obvious – better a calm than a chaotic school. But teachers staying, as long as they are middling to excellent and not diabolically harmful to children, has a massive impact on consistency within the school and consistency for children.) And retention: teachers who want to stay in the profession is of obvious benefit to schools who spent enormous sums of money and time on recruitment each year. How do we simplify teaching? I explored three strands: curriculum, pedagogy and systems. With the curriculum, I focused on within subject choices, rather than whole-school curriculum. When planning the curriculum, instead of fourteen page schemes of work that no child will ever see (or arguably benefit from), make unit packs. All ‘worksheets’ can be in the pack. No need for a powerpoint – everything is happier when your curtains are open in the classroom, and technology is an added stress teachers simply don’t need in their lives. At Michaela, we use packs to cut workload, but also to benefit kids: the text is central. Kids are reading a vast amount across subjects, not just in English. We add recap questions to strengthen pupil memory, resource comprehension and discussion questions to prevent teachers thinking these up on the spot or the night before, and prepare model exemplars to guide pupils to where we want them to end up. With pedagogy, I foregrounded the three arms of practice at Michaela: direct instruction, questioning, and extended practice. There is a huge gap between our pupils and their wealthier counterparts, and the gap is partly knowledge and partly practice. To close the knowledge gap, we teach with urgency. We never ask pupils to guess, but instruct upfront by reading text and explaining. We then question to check understanding, and recap to aid memorisation. To close the practice gap, we make sure when we’re not questioning and teaching, the kids are reading and writing. Kids are generally great speakers, great debaters and especially great at arguing; that’s not where the gap is. Our kids need more reading and more writing, so we make sure they do lots of that. We need to teach with urgency all the way through school – from reception to year 10, we teach like every second is vital (because it is). Hopefully that way we can prevent the intervention hell that is year 11. Notice how interactive these lessons are. It’s certainly not a case of teachers lecturing at bored children. We can’t just talk at children – that much is true. We have to constantly question and check they have understood and remembered what we have taught. Finally, I explored three systems to simplify teaching: behaviour, homework and feedback. Currently, I would imagine the majority of schools ‘allow’ teachers to set their own detentions. This is great for building teacher-pupil relationships, but I would argue the drawbacks outweigh this benefit. Teachers set detentions of any length they choose, so children can judge different teachers to be stricter or ‘easier.’ If a pupil doesn’t turn up, individual teachers have to hunt the child down. Too often, teachers end up chasing detentions that are multiplying, constantly trying to remember who has and has not turned up, and liaising with form tutors and parents to cajole the children into serving their time. Long-term, many teachers give up. I don’t blame them. The administration involved in setting, sitting, chasing detentions is too much. So teachers stop bothering. Finally feedback – I’ve written at length on this before, so I would encourage you to revisit my lengthier piece if you’re interested. The long and the short of it: don’t do it. I ended with some advice for leaders. When you have a shining star working 14 hour days, it is tempting to let them get on with it. But that sets unrealistic expectations for others, and could set up unfair comparisons between them and other teachers. They are also too often using their time pointlessly: extra marking, making transient displays, or forty five slide PowerPoints with the requisite resources. Instead, have the conversation with them: could every teacher do what you are doing? Do you want a family one day? Will you be able to do this when you do? When you lead a department, would you want every teacher doing this? Thousands of teachers leave the profession every year – how do we make this a school where people want to stay? What is the impact of your excessive workload on others in the department? Leaders need to lead by example, teaching rigorous content, actually teaching, limiting their activities, resources and feedback (I suggested teachers carry a red pen around with you when kids are writing, and use icons to set targets instead of laborious written comments). Leaders need to mitigate the impact of school systems on teachers: if you lead a department, you set a centralised detention for that department if your school will not (show the SLT it works). There were a number of questions and comments following the talk. One common thread in these questions was: where is the room for teacher creativity with such a rigid system? I guess we don’t really value creativity as highly as consistency and workload at Michaela. Although there is plenty of space for creativity in delivery (see: Jonny Porter jousting, above), we don’t let teachers make whizzy jazzy PowerPoints or decide to teach their own thing in their own way. Michaela is not for everyone. But I would challenge questioners: sometimes what we enjoy doing most is not the best thing for the kids. And sometimes what we enjoy doing in our own classroom, going above and beyond for our kids, has an adverse impact on the others around us, not to mention our own workload. And finally, great content is exciting in and of itself! I wouldn’t choose to teach Julius Caesar – it’s not my favourite Shakespeare play. But I absolutely loved teaching it, because it’s Shakespeare! Same with Coleridge’s ‘Kubla Khan’ – not my favourite poem, but again, it is a great one, and so great to teach. I was heartened by the people I met afterwards: it was especially lovely to hear teachers say to me: ‘I’ve done this for years and always been told I was wrong!’ What I’ve said is not revolutionary: many, many teachers have always known this. I hope Michaela can shine a light on what works for kids and teachers and allow these brilliant professionals to just teach, and then have a life. Some of what I said was not appreciated by some members of the audience; I had reports of some eye-rolling and tutting as I was speaking. I’d like to say: thank you. Thank you for coming to hear me speak, thank you for not walking out, thank you for taking the time to be challenged. Next time: ask a question, get in touch, tell me what you don’t like. It is wonderful to debate these ideas. I really think that in sacrificing some individuality and creativity we can deliver amazing results for pupils, and amazing work-life balance for teachers.